Mondelez India, part of Mondelez International, a leading global snacking powerhouse, has partnered with Carat to launch an innovative campaign to celebrate Valentine’s Day on February 14. 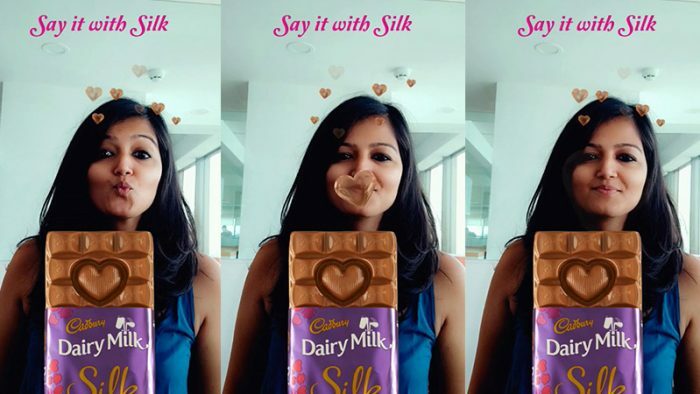 Titled “Pop Your Heart”, the campaign promotes Cadbury Dairy Milk Silk’s Special Edition pack for Valentine’s Day amongst the social media savvy but romantic millennials. In an attempt to attain optimal reach for this new product variant on Valentine’s Day, Carat has collaborated with Snapchat to create India’s first ‘National Snapchat Lens’ for Cadbury Dairy Milk Silk. Through this lens, one can blow a kiss with the Silk bar, which creates a drool effect around the consumer. Snapchat Lenses are basically tools that help create one’s own Augmented Reality (AR) effects. A recent market study pegs Snapchat as the highest engaging platform in Urban India for young millennials. Thus far, Snapchat lenses have been deployed only in Australia in the APAC. Meanwhile, Carat has also leveraged its long term partnership with Facebook to create APAC’s first Branded-3D filter for India’s fastest growing Facebook audience. 3D filters allow users to engage and post a variety of animations on their pictures/videos, which can be downloaded and shared later. With an initial splurge of more than 100k engagements within hours of its launch, Mondelez India looks bullish on the Social SOV (share-of-voice) for Valentine’s Day.